Let’s see how usability can be measure and achieved. A usable product is easy to learn. In this busy and competitive world, no one has time to use a product which is difficult to understand. Ease of use is the first important thing that a user feels in a product, so it needs to be a priority while making design decisions. An efficient product is the one that makes it easier for a user to perform his tasks quickly and effectively. If this factor is missing in design, a beautifully designed product will also lose the trust of its users. Keeping user’s goal in mind in design stage helps to achieve this component. A good product is the one that do not require user to memorize it. Instead, user should be able to go through the layout and flow easily whenever he comes to use the product. A design should meet human’s psychological behavior and expectations so that he may not put extra efforts to remember its details. A product’s usability can easily be measured by the way its response to human errors. A usable product tries to resolve errors seamlessly. If an error requires user’s input, then design should handle it gracefully by providing meaningful and polite error messages. This principle also needs to consider during each stage of design process. This usability component requires to provide a pleasant and satisfactory user experience. If a user comes to use a product, he should be able to accomplish his goals in a way that he wants to come back again to the same product. Making user satisfaction a priority in design process helps to build a good relationship between user and product. What will happen if a product is not usable? See what can be the results when we ignore usability components in our design process. It is difficult to learn the product. There are chances of more errors, and hence more error handling needs to be done in designing the product. Since it is a difficult to use product, it requires more cost to provide support to users. The trust of users is lost if they get unexpected behavior from product. Making changes on user demand becomes expensive since the product is not flexible. Usability is a factor that should be made part of design process from the beginning. It is not a decorative thing that can be applied after creating an ordinary design. It should be taken care at each stage of design process from requirement analysis to implementation and testing. To make sure usability of a product, usability testing can be performed at various stages of design. A usability test is conducted on paper prototypes and sketches to verify initial design ideas. Usability testing can also be done when design is completed before going towards implementation. Prototypes can be used for this purpose. And testing of a complete product is also possible after it is created. There are many tools and techniques that help to get user feedback at any design stage. This analysis makes obvious the importance of usability in a product’s life cycle. If a product is not usable for its users, then chances of its failure are high. Usability is an essential factor that plays a vital role in success of a product. 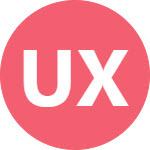 Each component of usability needs to be part of design process. It is not a thing that can be injected within a poor design to convert it into a usable experience overnight. It requires days and nights of efforts to make a product usable while creating it. How to write good error messages? Next ›How To Improve Advanced Search UX?